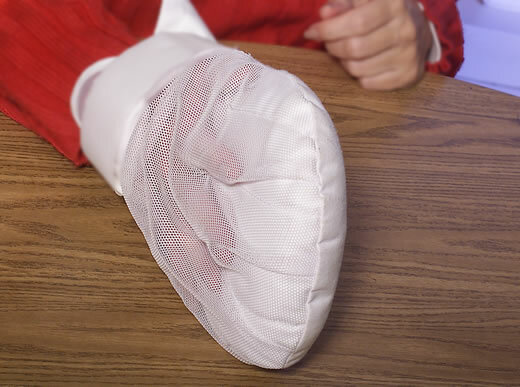 The study with stroke patients involved restraining the less-impaired hand and/or arm with an immobilizing mitt in an effort to encourage use of the affected extremity. A clinical trial, which was led by an Emory University expert and created to teach stroke patients to use their stroke-affected arm rather than their "good" arm, has been identified as one of the 15 top international clinical trials ever published in physical therapy and rehabilitation. 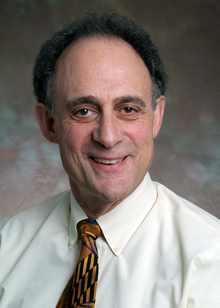 The Physiotherapy Evidence Database (PEDro) stated the EXCITE (Extremity Constraint-Induced Therapy Evaluation) clinical trial, lead nationally by Steven Wolf, PhD, PT, professor of rehabilitation medicine at Emory University, had a significant impact in stroke rehabilitation, which set the stage for many future trials. PEDro, located and supported within the George Institute for Global Health in Australia, has been reviewing clinical trials, guidelines and reviews of work related to rehabilitation and physical therapy for the past 15 years. During that time, some 28,000 trials and manuscripts, going back as far as 1929, have been reviewed. Thousands of physiotherapists and others interested in rehabilitation use PEDro in more than 200 countries. "Often, stroke rehabilitation focuses on teaching patients how to better rely on their stronger limbs, even if they retain some use in the impaired limbs, creating a learned disuse," says Wolf. "This trial was just the opposite and focused on the impaired limb, which proved to be a valuable form of rehabilitation. We are so pleased and honored that this clinical trial has been found to be a top 15 trial amongst an international jury of experts." The EXCITE trial was funded by the National Institutes of Health from 2000-2005 and the results were published in JAMA in 2006. The trial looked at constraining a participant’s "good" arm for two weeks following stroke and only using the affected arm during therapy to determine if the intervention improved motor function, as compared to no therapy at all. "Results showed that constraint-induced movement therapy produced statistically significant and clinically relevant improvements in arm motor function that persisted for at least one year at follow-up," says Wolf. "This trial was the first large multi-center, randomized controlled trial in stroke rehabilitation that lay the ground work for many other trials to follow." The EXCITE trial enrolled 222 patients at seven sites who had suffered from predominantly ischemic stroke (the most common form, in which a blood vessel becomes clogged) within the previous three to nine months. Wolf and other Emory University researchers lead the national trial. The study involved restraining the less-impaired hand and/or arm with an immobilizing mitt in an effort to encourage use of the affected extremity. Patients then engaged in daily repetitive tasks and behavioral therapy sessions, which included training in tasks such as opening a lock, turning a doorknob or pouring a drink. Participants were assigned to receive either therapy or no therapy (the control group). Patients were evaluated using the Wolf Motor Function Test, named after Emory’s own Wolf, which is a measure of laboratory time, strength-based ability and quality of movement (functional ability). Investigators found that over the course of a year from the beginning of therapy, the group undergoing constraint induced therapy showed greater improvements than the control group in regaining function, including a 52 versus 26 percent reduction in time to complete a task, and a 24 versus 13 percent increase in the proportion of tasks performed more than 50 percent of the time with the partially paralyzed arm, compared to pre-stroke levels. "These are ground-breaking trials that changed the way people are treated for a variety of conditions seen by physiotherapists and other health care professionals," says Anne Moseley, PEDro Manager. "All of them mark important milestones in the evolution of physiotherapy treatment." Out of the 15 trials highlighted by PEDro, only two were clinical trials based in the U.S.